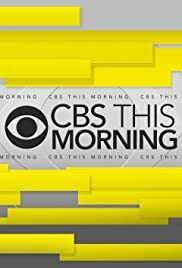 The CBS Saturday morning is very liberally biased. Just give me unbiased news. I'm not a Trump supporter, but I also don't need a continuous anti-Trump bashing. Every Saturday I have to listen/watch a very biased commentary with additional liberal "comedy" from Bill Maher, SNL, etc. Well, I guess I don't HAVE to listen/watch, but I do like to watch a news program on Saturday mornings.